Recently I noticed that speed 2 wasn't working on my air conditioning. Sigh...another problem with this Jeep. 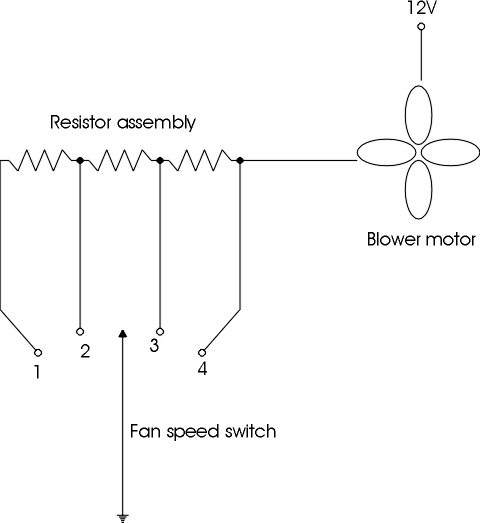 Here is a simplified diagram of the blower motor circuit. The fan speed switch connects ground to different places on a resistor network. 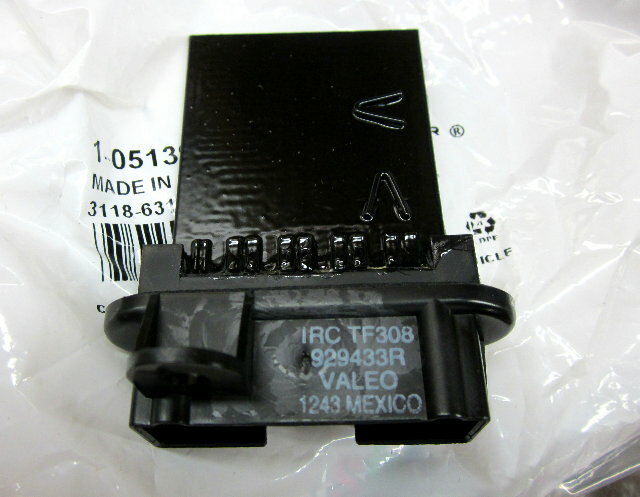 The more resistors in line the less current to the blower motor and the slower it goes. I knew the blower motor worked. I used a multimeter to determine each line of the switch was switching to ground. By process of elimination the resistor assembly was bad. A quick internet search revealed this is a common failure. Everything on this Jeep is a common failure it seems. The good news is the part is inexpensive, readily available, and easy to replace. 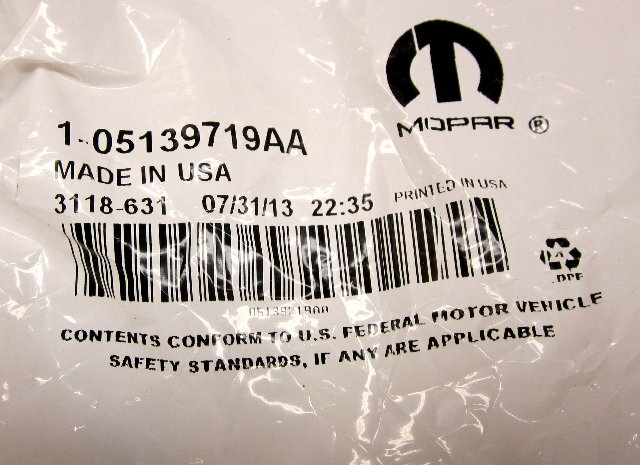 I got this part on Ebay for $12.50 shipped. 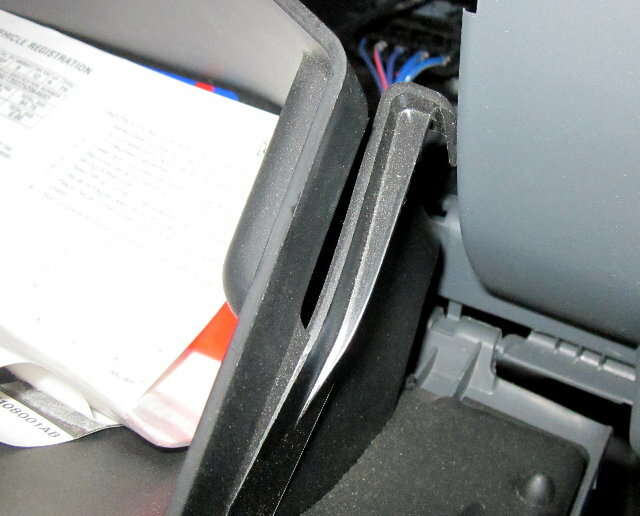 To access the resistor assembly remove the glove box by pushing in on the side tabs (shown). 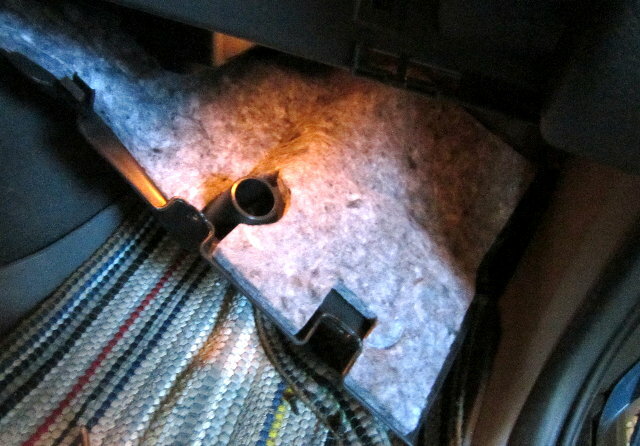 This will allow the glove box to drop down. Slide it to the right and remove it. 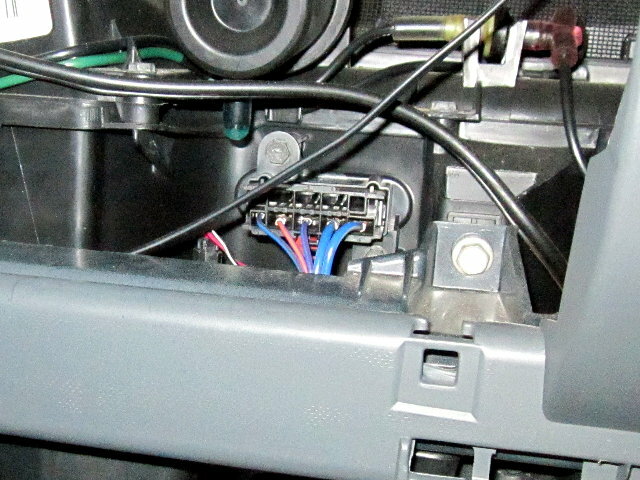 The harness in the picture plugs into the resistor assembly. The resistor assembly is held in by two 8mm screws. The top screw is easily accessed. You can remove two Phillips-head trim screws and drop the bottom panel. I found this to be the easiest way to get to the bottom 8mm screw. From here everything is remove and replace. Fifteen minutes later I had speed 2 again.